I don&apos;t know about you but I have been left mentally exhausted by the political events of this past week. My mind has been scattered and I can&apos;t seem to concentrate on much aside from the Trump reality show playing out every day. It&apos;s like a soap opera. One must tune in to see the next episode and watch the drama unfold. We have a "drama queen" as a President. He loves the spotlight and the attention and he demands loyalty and idiotic support of an agenda that in the mind of many of us is becoming more and more frightening as he digs in and circles the fire. Just now, our very own President lied again about what happened when Obama was President- guns would be taken away. I think he meant Clinton but anyway- he lied and said your guns would be gone. And two days ago, a new Communications Director at the White House (Anthony Scaramucci) who is actually not yet able to be paid for his new job because he has to sell off his multi-million dollar business, let loose with a tirade of ugliness and profanity that sent a chill into the political air. And, by the way, Scaramucci is actually firing people even though he is not officially on the job. You just can&apos;t make this stuff up. It&apos;s exhausting to listen to all of those lies and offensive rhetoric. So relief is the feeling of today. Also some celebrating that when people organize and get involved and demand change or resist terrible votes on terrible bills, democracy wins. It&apos;s a heavy lift to make sure Americans have access and get affordable health care. It&apos;s an exhausting process. But it needs to happen. It&apos;s a heavy lift to get measures to prevent and reduce gun violence in place as well. As always, many Americans have died from gunshot injuries during this week of health care debate and other debacles- most of them avoidable. In fact at 90 a day, about 630 Americans have died from gunshot injuries since last Friday. That&apos;s exhausting. What appears to be a domestic murder/suicide in Winona, Minnesota led to the death of two young people. Guns are dangerous. When a gun is available things like this happen on a regular basis. There is no sense to it but it&apos;s the American gun culture gone wrong. A 21-year-old woman was arrested in St. Paul’s Dayton’s Bluff neighborhood Tuesday evening after a child apparently found a gun in her purse and shot a 4-year-old girl in the leg. The girl was taken to Regions Hospital with a nonlife threatening gunshot wound to her left leg, said Sgt. Mike Ernster, a police spokesman. No guns in purses. Period. This is not the first time as we remember the awful incident where a young Idaho child found his mother&apos;s gun in her purse and shot and killed her. Speaking of access to guns by young children and the health care system, here is a new campaign from States United to prevent gun violence in partnership with the Brady Campaign&apos;s ASK campaign. Check it out. Yes, there is a lot of blood. Bullets kill. They do a lot of damage once entering a human body. That is why they are so much more deadly than other weapons. What happens when a bullet goes through the skin and muscle is usually only seen by health care providers, law enforcement, and coroners. It&apos;s not pretty. Perhaps if more people became aware of the actual damage to human organs from the bullets they shoot out of their guns intentionally or unintentionally, they would stop thinking of guns as just tools. They are tools of destruction and death. There really is no way around that. “Murder statistics can become abstract,” he said. “This is a way to remember the victims. In the late ‘80s and early ‘90s, gun violence was massive, but then it returned to ‘normal’ levels, and it seems like we don’t think about it anymore.” With HAIL, he hopes to make the consequences of gun fire are harder to forget. It is impossible to forget the consequences if you have lost a loved one to gun violence. Survivors of gun injuries never forget the impact of a bullet and the damage done leaving many of them forever disabled. Rep. Gabby Giffords is just one high profile walking example of the destruction of bullets. James Brady, now dead from the decades long effects of his gunshot injuries after being shot by a man who tried to assassinate President Reagan is another. They are the walking wounded, or in many cases, they can&apos;t walk any more. Bullets do a lot of damage. The results of shootings cause grief, pain, devastation and costs to Americans. Victims and survivors undergo medical services for their injuries and recovery and often forever. Mental health services help family members with how to live on after a heinous shooting. Court costs are also costs to tax payers. Health care, gun violence, economic, political, elections, non-profits, and many other issues and problems come together and are in need of solutions. Unlike the health care bill debacle brought to us by a President, Senators and Representatives who had only their own win and ideology behind their bills, there are common sense solutions. But like the health care debacle, it has become so political and divisive that solutions seem to be far off. It doesn&apos;t have to be this way. If we are all about doing what&apos;s best for all of us to keep us healthy, safe, having enough money to feed and clothe our families, educating our children and young adults, providing jobs with living wages, taking care of our environment to preserve it for our children and grandchildren, then we will do the right thing. Everyone wants to be safe from gun violence. We are not all safe. Everyone needs and wants good affordable health care. The ACA was a start but needs fixing, not repealing and replacing. Everyone wants a good job that has benefits and can provide for their families. Everyone wants their kids to be well educated. Everyone wants to retire gracefully and with dignity. This is a time to reflect on where we have gone awry on so many issues and concerns. We are lurching towards a country that is not a democracy. We are living with a man at the helm who cares more about his own ego and image than he does about the people he represents. The ugliness, the language, the accusations, the verbal attacks, the tone deafness when speaking to a group of young boys, the angry tweeting, the attacks against the GLBTQ community, the attacks on minorities and immigrants, the taking apart of regular order, the destruction of the office of the Presidency, the violent and threatening rhetoric, the ignorance, the lying, the lack of attention to our national security, the lack of resolve to stop a foreign country from interfering with our elections, the blaming of others for one&apos;s own faults and shortcomings, the lack of accountability and more are becoming more frightening. We need to take our country back. We need to stop the violence. We need to stop the threats and the vulgar public language. We need to feel safe in our own communities. We need to hold our leaders accountable for their mistakes and their ignorance. It&apos;s exhausting to wake up to chaos every day. If that is the plan, it&apos;s working. If not, it&apos;s unacceptable and should stop before we go off the cliff. It doesn&apos;t have to be this way. We don&apos;t need to be exhausted every day. We can do something positive. For example, in Minnesota law enforcement is working with gun sellers and gun owners to make sure guns are safely stored against stealing. This seminar reinforced Minnesota&apos;s stringent storage laws for licensed dealers. There should be the same for home gun owners but so far, there is not. There could be. Hennepin County Sheriff Rich Stanek opened the seminar with remarks that charted a link between a recent uptick in violent crime and firearms hitting the streets from thefts or straw purchases, in which a stand-in buys a firearm for someone who’s been banned from making such a purchase. Usset expressed skepticism that large sellers would have the time every evening to lock away each of their long guns. But he said he’s been securing his handguns before going home each evening since burglary 22 years ago. “Because when they break in that’s what they’re after,” he said. If it means saving lives, is it too much to ask to lock up ALL guns? Seems like a good idea to me. Gun violence is also exhausting to the families, the victims and the survivors. Working to end gun violence is also exhausting. But there are courageous people who continue the fight no matter what because they don&apos;t want a lost life to lead to despair. Instead, they are working towards hope and a solution to our nation&apos;s public health epidemic. Watch this story told by one of the survivors of the Pulse Nightclub shooting. Angel&apos;s need for health care is great after he was shot and injured. Without health care, how do the victims get the care they need? Why would we deny them coverage? 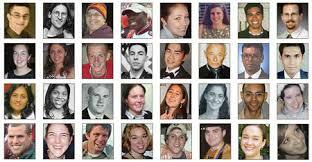 They are victims of senseless shootings and a gun culture gone wrong. America has more mass shootings and everyday shootings than any other democratized country not at war. We also have among the worst guaranteed affordable health care of almost all of those democratized countries. Health care is a right. Being safe from gun violence is a right. It&apos;s exhausting but, nevertheless, we will persist. A man shot and killed his wife and two others in his home on New Year’s Eve before his son wrestled the gun away and fatally shot him in a chain of events apparently set off by a dispute over a washing machine, authorities said Friday. The two other victims killed were the son’s 48-year-old girlfriend who also lives at the house in Rowland Heights and a 27-year-old man who was visiting, the Los Angeles County Sheriff’s Department said. The 54-year-old father was a heavy drinker with a large gun collection, and authorities had made dozens of previous trips to the home, the Los Angeles Sheriff’s Department said. This is the American gun culture out of control. Guns make disputes like this deadly. People can argue over all sorts of things but when a gun is at the ready, sometimes they die. I know that from personal experience. Devastating shootings affect the lives of many. There is a ripple effect when mass domestic shootings like this happen. Now the son who witnessed the shootings is being held on murder charges for killing his father after he wrestled the gun from him. Good grief. According to the writers of the Gun Violence Archive, 200 incidents that they know of involving guns and shooting have been recorded so far in 2016. It’s January 2nd. Check it out for yourself on their above linked website if you don’t believe me. Raise your hand if you believe this is the way of life we, as Americans, should accept. The corporate gun lobby does everything in its’ ubiquitous power to stop any kind of common sense measure to prevent at least some of the shootings. With wide recognition by the public that passing laws such as expanded Brady background checks are a good idea, why doesn’t Congress just go ahead and vote to keep us safer? Rural Democratic legislators and Republicans who are in charge of a lot of our state houses are doing everything they can to reverse common sense and make it easier for just anyone to buy, own and carry guns in public. Who are they afraid of? We know the answer. All of this adds up to a gun culture that is no longer accepted but is allowed because of feckless, timid and scared elected leaders. They are the only ones who can act through law to keep us safer. And we need them to be afraid of us and afraid of the victims and survivors who have a lot at stake to keep other Americans from suffering from devastating gun violence. Some of our citizens have become so scared and paranoid about needing guns for protection against zombies, terrorists, people of color, President Obama, and shadows in every corner that we now have 89 Americans a day dying from gunshot injuries. Citizens and gun owners can act positively by storing guns safely from kids, teens or being stolen. They can stop taking risks that end in death. They can be more responsible with their guns. Measures ( one has been proposed) like requiring liability insurance on gun owners could make people more responsible much like we do with cars because car accidents can kill others unintentionally. We can tax guns and ammunition (now law in Seattle) like we do cars upon purchase so that people understand that if they want a gun, they will have to come up with tax money. Why? Because gun deaths and injuries are costing Americans a lot of money. And why are gun buyers not required to take a class to teach them about the risks and responsibilities of gun owning before they walk out the door of the gun shop just like we do with anyone who wants to drive a car? And perhaps a stiff tax on ammunition would have stopped the shooter of the Aurora theater victims to think twice before ordering thousands of rounds of ammunition to be used to slaughter innocent people. All of these things are done for good reason. And there are no exceptions. Everyone has to take driving lessons. Everyone has to pay state sales taxes when buying a car. Everyone has to register their car and get a license for that car. Proof of insurance is required but we know that some ignore this and then we all pay when an accident happens. Driving while drunk has severe penalties now. What about operating a gun while drunk? There are laws in states that allow guns in bars and restaurants that say someone with that permit can’t drink beyond the state approved legal limit. But who’s checking to see if that is the case? Bar owners don’t ask their customers if they are carrying a gun before serving them their 5th beer. It’s too late once a shooting happens. But our legislators were convinced that everything would be just fine for those “responsible” gun owners and carriers because they don’t break the laws- until they do. That’s what laws are for- to protect us all and keep us safe from those who can’t or won’t be responsible. If you think the man who shot those folks over a dispute over washing clothes while under the influence of alcohol was responsible, think again. He should not have had access to guns. So in 2016, what is past due is a discussion that involves reasonable people from both sides to get to a place where we can prevent some of the shootings however we can and protect rights and gun ownership. It is done in most other places in the world and in some of our own states with good results. While opponents of the measure said it singles out the gun industry for special protection, Mr. LaPierre said the protection is necessary because, unlike auto manufacturers or pharmaceutical companies, American firearms makers “don’t have deep pockets,” and the industry would be at risk simply from the cost of fighting the lawsuits. But opponents called the bill shameful — “bought and paid for by the N.R.A.,” in the words of Senator Edward M. Kennedy, Democrat of Massachusetts. Representative Chris Van Hollen, Democrat of Maryland, whose constituents include victims of the 2002 sniper shootings in Washington and its suburbs, called the measure “a cruel hoax” on victims of gun violence. Eight of the sniper victims or their relatives won a $2.5 million legal settlement from the manufacturer of the gun used in the shootings and the dealer in Washington State who sold it. Mr. LaPierre said that suit would have been permitted under the law passed Thursday. But the lawyer who brought it, Dennis Henigan of the Brady Center to Prevent Gun Violence, disagreed. Mr. Henigan said that while the dealer had violated federal law, the bill would have prevented the suit nonetheless because the violations did not pertain directly to the weapon used in the sniper shootings. He said he intended to challenge the bill on constitutional grounds, arguing that it deprives states of their right to legislate and deprives victims of their right to sue. The Protection of Lawful Commerce in Arms Act favors an industry that, at best, turns a blind eye to business practices that place profit over victims. As Forbes admits, the result is that “gun manufacturers have won double-barreled protection from Congress against the type of lawsuits that bedevil the makers of everything from toys to tractor-trailers.” Although legal experts like Andrew Cohen, posting in The Atlantic, are starting to highlight this unnecessary and unprecedented immunity for the gun industry, further attention would better inform current calls to hold gun companies accountable in court. As leaders of Congress state that “every idea should be on the table” in attempting to prevent another tragedy like the Newtown massacre, major news outlets should investigate why the gun industry remains shielded by law from the consequences of its irresponsible business practices in a way that other industries are not. I’m confident that the criminal justice system will work to punish the people who killed my husband. But the civil justice system must also be allowed to work. Those who share responsibility for my husband’s death must also be held accountable. I and families of other sniper victims have sued these gun sellers. I hope that by holding them accountable, we can cause others to behave more responsibly, and that future tragedies such as mine will be prevented. I understood when I filed the case that I was not guaranteed victory, but that’s OK. All I wanted was my day in court. But if [the Protection of Lawful Commerce in Arms Act] is enacted, the courthouse door will be slammed in my face. No other industry enjoys the protections that the gun industry is seeking. Gun sellers and manufacturers shouldn’t be above the law. If any other product injured my husband and irresponsible sellers played a part, I would be able to bring a case in court. But because Conrad was shot with a gun, my lawsuit would not be allowed. Those who sell guns that are sought by criminals need to be more careful than sellers of other products, not less careful. I call on Congress to protect my rights and the rights of other victims of gun violence. There’s nothing frivolous about how bad gun dealers behave. And there’s nothing frivolous about my case. The gun industry does not need to be more protected than any other industry. If victims file law suits, the courts can sort it out like they do for other industries who are sometimes sued by victims who are harmed by a product. The tobacco industry was found to be liable for deleterious health effects caused by their products. The same with the auto industry. Why does Congress treat the gun industry differently? The corporate gun lobby may complain that they don’t have deep pockets but that is really not the case. The gun industry seems to be thriving thanks in part to the protections it has received from our own elected leaders who are afraid to stand up for the victims. And also thanks to the fear and paranoia sold to some in America that fuels the sale of firearms. And in a sick twist, many of these firearm sales increase after high profile mass shootings. At some level, our elected leaders must know and understand this information. Do they also know how much gun deaths and injuries cost Americans? Our leaders need to know it all in order to make informed decisions. There has been controversy in the past week or so about one such leader who happens to be running for President- Senator Bernie Sanders. Sanders voted in favor of the 2005 law that protects the gun industry and has been having problems because of it. He also voted against the Brady Bill. The lawsuit was part a larger effort by the Brady Campaign to Prevent Gun Violence to expose unscrupulous gun dealers that ignore obvious warning signs and sell to customers with malicious intentions. The plaintiffs, Sandy and Lonnie Phillips, whose daughter, 24-year-old Jessica Ghawi, was killed in the shooting, filed suit in September, but a senior district judge dismissed the claims last month. The judge cited the Protection of Lawful Commerce in Arms Act in the ruling, a law passed in 2005 to shield gun makers and retailers from liability for injuries caused by a third party with their products. Gun rights activists like Brown celebrate that freedom, but even some involved in the trade are troubled by how easily Holmes stocked up for his alleged rampage. Chad Weinman runs TacticalGear.com, which caters to police officers looking to augment their equipment, members of the military who don’t want to wait on permission from the bureaucracy for new combat gear, and hobbyists like survivalists and paintballers. The site receives “thousands” of orders daily, sometimes from entire platoons that are about to deploy to war zones. On July 2, Holmes placed a $306 order with the site for a combat vest, magazine holders and a knife, paying extra for expedited two-day shipping to his Aurora apartment. The order, Weinman said, didn’t stand out. “There’s a whole range of consumers who have an appetite for these products, and 99.9 percent of them are law-abiding citizens,” Weinman said. But he said that “it makes me sick” that Holmes bought material from him. He added that he doesn’t sell guns or ammunition and that he was “shocked” at the amount of bullets that Holmes allegedly bought online. Authorities say all of Holmes’ purchases were legal – and there is no official system to track whether people are stockpiling vast amounts of firepower. This statement ( above) should concern us: “”There’s a whole range of consumers who have an appetite for these products, and 99.9 percent of them are law-abiding citizens,””. Law abiding or not, why is there an appetite for these products in the first place? Doesn’t that tell us something about our insane American gun culture? Who needs these kinds of products? And if you are law abiding and want them, a background check or further scrutiny should not be a bother to you. But…rights. That’s right. Not only does U.S. federal law protect gun makers and sellers from being held responsible for selling arms to nutcases, terrorists and murderers, but the state of Colorado requires plaintiffs to pay them court costs for having the nerve to sue them! (…) The other problem, which Sachs does not specifically mention is that our nation’s lax gun laws — along with laws protecting gun makers and sellers — allow no recourse to victims of the weapons industries and the NRA gun lobby. As troubling as the Confederate flag may be as a symbol of racism and oppression, a gun in the hands of a criminal or a dangerous psychotic poses a far more imminent danger. Fixing the background check — and closing the private sale loophole on a national basis — is no assault on Second Amendment rights. Rather, it would be a case of making existing law, one that’s been on the books for 22 years, function in the way that Congress intended. And qualified gun owners would have nothing to fear as they’d face no additional burden beyond a meaningful criminal background check while gaining the comfort that terrible armed rampages like the one that took place in South Carolina might be made less frequent. Sometimes overlooked in discussions of this nation’s falling violent crime rate (and it’s fallen every year since 1994 on a per capita basis) is the role of Brady background checks that have denied guns to 2.4 million prospective buyers who were either convicted of felonies, were fugitives from the law or were determined to be dangerously mentally ill. Surely fixing the system will yield even better results, making it just a bit more difficult to walk into a church and kill six women and three men gathered for a Bible study. As important as taking down the Confederate flag may be on a symbolic level as a repudiation of the kind of white supremacy that Mr. Roof embraced, fixing the leaky background check system would save lives of all kinds and likely in large numbers. Background checks on all gun sales can save lives. We need to Finish the Job and require background checks on all gun sales. It’s the bullets and ammunition that actually kill. The owners of Baxter Gun and Pawn say they didn’t know Graham was a felon, and that they were convinced the grandmother was buying the gun as a gift for young Zeus. She filled out the form and passed the mandatory federal background check, as Graham waited. “He paid cash for the gun, he carried out the gun, and he purchased the ammo,” Shirley says. And just hours later, he used it to kill the boy, and himself. She filed a negligence suit against the gun shop, and the Kanas Supreme Court eventually ruled that gun dealers must exercise the “highest standard of reasonable care” to keep weapons away from felons. That’s higher standard than had been in place. She recently settled with the gun shop owners for $132,000. “This case is hugely important,” says Jonathan Lowy with the Brady Center to Prevent Gun Violence. He argues that gun control advocates face a veritable brick wall in Washington, where he says powerful gun rights lobbying groups consistently block gun control legislation. 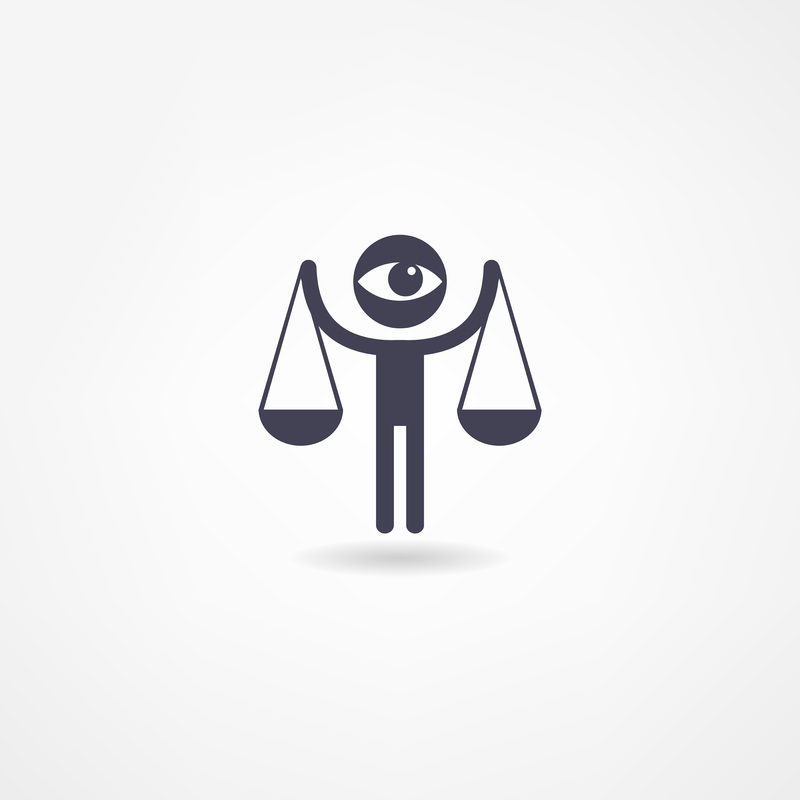 Civil litigation, he says, offers a chance to move the needle on restricting sales. And what follows is a comment from a gun dealer about how this is not the norm and most gun dealers are responsible. It is only about 5% of gun dealers who are responsible for 90% of the crime guns. But that 5% comes with innocent victims losing their lives. There should be no tolerance for “bad apple” gun dealers. Clearly stopping these dealers from careless and dangerous business practices can save lives. It won’t bring the ones who were shot back and it won’t stop their families and friends from grieving for them, but if it will stop another family or more than one family from experiencing the devastation of gun violence, it is important and worth doing. Reasonable people can agree that we need to keep people from being shot in any way we can. That being the case, our laws need to be stronger, not weaker. And our conversation about the role of guns and gun violence in our communities needs to involve a discussion about everything we can do to stop the senseless violence that is devastating our communities. Common sense tells us we must have that conversation. The thing is, we shouldn’t have to beg for our leaders to pass laws that can save lives. We shouldn’t have to sue bad apple gun dealers to get them to do the right thing. We shouldn’t have to remind gun owners to keep their guns locked away, unloaded, from kids and teens so they can’t “accidentally” shoot someone or themselves. (According to the Gun Violence Archive, there have been 994 “accidental shootings since January of this year; 371 children killed/injured in the same time period; 1269 teens (12-17) killed or injured since January.) Something has to change. Other countries have managed to get it right. We can too if we have the will and if our leaders do what they know is right in the face of a well funded and fierce corporate gun lobby. 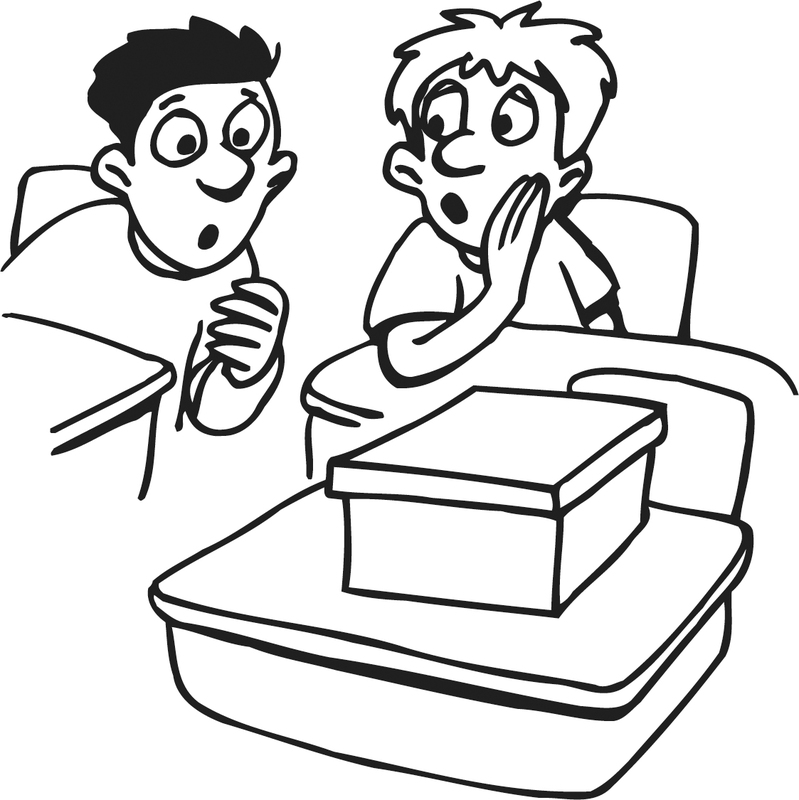 I’m sure you’ve heard this one: “Curiosity killed the cat.” Curiosity can also kill kids. If something looks interesting, shiny, bright, intriguing or is forbidden, we can count on kids to want to touch it or do it. That is why no matter what you tell your kids, they are curious about guns and will want to hold them and pretend to shoot them. Of course, in American teens have easy access to guns and we also know that way too often teens bring guns to schools or other places and actually use them to kill others. The fact that this is common is disturbing. It goes against the corporate gun lobby mantra that more guns make us safer. It also is in direct opposition to the NRA’s Eddie Eagle program touted as the way to keep kids safe from loaded guns. Let’s take a look at why Eddie Eagle is not doing the trick. The 16-year-old student told Oakdale police he received the gun from another 16-year-old Tartan student. The student took the gun from his parents’ home and brought it to school so he and his friend could hold it. “Both students said they were curious about the idea of having a gun and were showing it off,” Oakdale police said in a statement. So much for teaching kids not to touch guns. Kids are curious. They will touch. Luckily this did not end badly but it certainly could have. Hopefully the irresponsible parents who allowed easy access to a gun will think twice about how they store their guns or even if they should have guns in the home considering that a curious teen already said he wanted to see what it was like to hold a gun. Next time he might do more than just hold it. A teen in Tempe, Arizona brought a gun to school and shot and killed himself in the school. Where did his gun come from? Easy access to guns makes suicide quick and efficient with no time to reconsider or think about anything. And now a family is grieving for an avoidable death of a son who had potential that will not be realized. Suicide accounts for the majority of gun deaths in America. Shouldn’t we be doing something about that? A California teen shot and injured herself with her father’s gun. Even officers, apparently don’t get that curious kids and teens will touch guns no matter what you tell them about the dangers. There are risks to having guns around the home. When will “responsible” gun owners get that? How many more of these will we be hearing about and writing about before gun owners understand that if they decide to own a gun they had better decide to own responsibility. With rights come responsibilities. There are no excuses. Don’t believe the gun lobby rhetoric that guns in the home for self defense will be likely to save you from a home invasion. Those are rare compared to the accidental and intentional shootings with the guns owned for self defense. Do guns come with warning labels? Shouldn’t anyone who purchases a gun be required to go through training? When profits come before saving lives and a sale is more important than a life, this is what we get. The primary goal of the National Rifle Association’s Eddie Eagle program is not to safeguard children, but to protect the interests of the NRA and the firearms industry by making guns more acceptable to children and youth. The Eddie Eagle program employs strategies similar to those utilized by America’s tobacco industry—from youth “educational” programs that are in fact marketing tools to the use of appealing cartoon characters that aim to put a friendly face on a hazardous product. 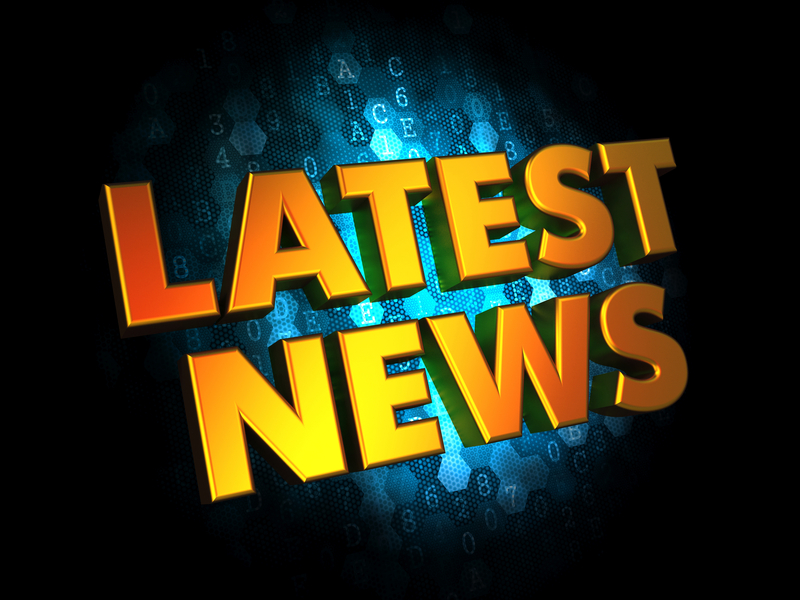 The hoped-for result is new customers for the industry and new members for the NRA. Violence Policy Center research reveals for the first time that manufacturers of firearms, ammunition, and related products directly contribute hundreds of thousands of tax-deductible dollars to the NRA through its “affiliate,” The NRA Foundation. The Foundation in turn then makes “grants” to the NRA to fund the Eddie Eagle program. Financial contributors to The NRA Foundation include Saturday Night Special or “junk gun” manufacturers, rifle and shotgun manufacturers, and manufacturers of ammunition and reloading equipment. Donation of land of unknown value has also been made by industry members to The NRA Foundation for endowment programs. Industry members have also facilitated the donation of more than a million dollars to the NRA through point-of-purchase dealer and catalog sale programs. There is much more of interest in this article. I hope you will read it. Marketing guns to kids is a really bad idea. Just like driving a car, they can wait until they are deemed to be more ready for the responsibilities that come with a potentially dangerous product. Remember this ABC 20/20 program which showed how even though kids whose parents explicitly told them not to touch guns, they did it anyway? I do. It was in direct opposition to what the gun lobby deceptively tells people about their kids and guns. Why? Because they don’t want parents to reconsider a gun sale if they understand the truth about kids and guns. Anyone with common sense should understand that keeping guns safely secured away from curious kids and teens and those who are suicidal is a really good idea and can save lives. And maybe the parent of the Minnesota teen who got a gun from a friend should have asked if there were guns in the home where their son hung out. Asking saves lives. Check out the ASK Campaign if you don’t believe me. I am betting that these parents wished they had asked because now their son is in a lot of trouble and they should be mortified about the whole thing. Kids and guns don’t go together no matter what the gun lobby tries to tell you. Their push to get kids comfortable around guns is bunk. Hunting is one thing when accompanied by an adult. But holding and playing with handguns or assault rifles is just not OK. There is no need for a teen to get comfortable with those kinds of guns. Teens can’t think through consequences. Of course, neither can many adults. It’s past time to change the conversation about the role of guns and gun violence in our communities. Let’s get to work. We can make our kids and communities safer with some and responsibility. Did you get your mother a gun for Mother’s Day? If not you can enter a gun give-away contest at the NRA website to make sure someone special to you has a gun for self defense on this special day. Perhaps someone is lurking outside of the restaurant where you will take your mother for brunch. Or maybe at church? Or at the park where you go for a picnic? Or maybe a mother in your life needs her gun while shopping? Remember this young mother who lost her life senselessly when her 2 year old sone found a loaded gun in her purse and “accidentally” discharged the gun? She died. 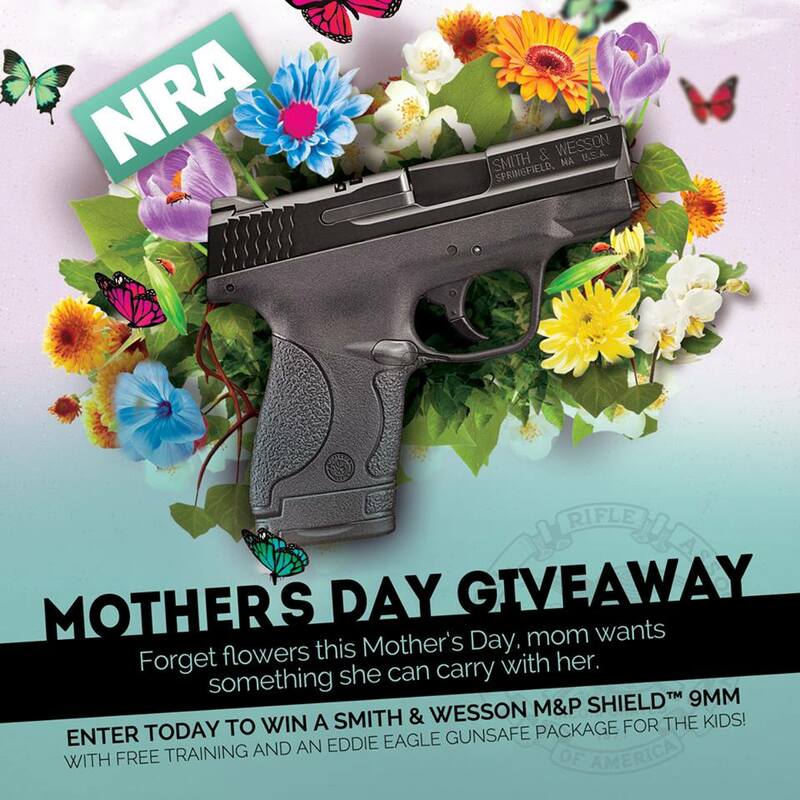 Would your mother really prefer a gun to flowers on Mother’s Day? Don’t buy your mother a gun today. The gun lobby needs to promote gun ownership among women, and even children, because fewer homes report owning guns and gun ownership is mostly among older white males living in rural America. But I digress. The earliest iterations of Mother’s Day in the U.S. were organized for several reasons, but celebrating mothers wasn’t among them. U.S. women’s groups in the late 1800s came together in West Virginia to tackle everything from infant mortality to disease and milk contamination. In 1870, a composer by the name of Julia Ward Howe issued a “Mother’s Day Proclamation,” urging women to become politically active and to promote peace following the U.S. Civil War, according toNational Geographic. And that is what mothers have been doing ever since- promoting peace, promoting safety for children, promoting public health and safety. Women are politically active but their voices are too often drowned out by a power structure that has not included women in leadership roles where they can make a difference. That is changing but not enough. Women in politics will be key to getting policy changes in the best interest of women, children and families. 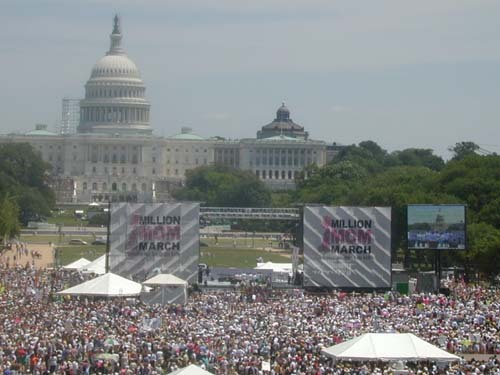 15 years ago on Mother’s Day of 2000, which fell on May 14th that year, 750,000 mothers and others marched for sanity and common sense concerning gun violence. I was one of those who attended the Million Mom March and came away a changed person. I found my voice. Eight years after my sister was shot and killed in a domestic shooting, I found a way to talk about it and a way to tell my story. I also found that I was not alone. Unforgettable at the March were the many people carrying posters or wearing tee shirts or hats with photos of a loved one lost to a bullet. Over the years, as I got involved with the issue of gun violence prevention, I became acquainted with many victims and survivors nation-wide who are my friends to this day. We are in a club that we didn’t want to join. Some of them are moms who have lost children so Mother’s Day is difficult and a sad reminder that our nation is awash in guns and gun violence. It doesn’t have to be this way. Moms are a force. Don’t mess with a mom who has lost someone to a violent and sudden death. 15 years after the first march against gun violence mothers are still marching. Yesterday hundreds marched across the Brooklyn Bridge, including many gun violence prevention groups, to show support for common sense. There were marchers from the Million Mom March and Brady Campaign chapters, New Yorkers Against Gun Violence, Moms Demand Action and others in a show of unity to demand that our elected leaders stand up for the victims and survivors instead of the gun lobby. My sister experienced the tragic loss of a young toddler in a drowning death at the lake behind their home. She never really got over the loss of her only daughter, who was a year older than my own. My daughter had a special relationship with my sister because of this loss. And yes, I also know that drownings are the cause of more deaths than shootings in very young children. But with the increase in the number of young children “accidentally” shooting themselves or others, that may change. As more data hopefully becomes available, we will know more about what causes death in young children. Mothers should not lose their children no matter to what cause. My mother, of course, lost her oldest daughter to a domestic shooting. Today, I know that a gun did not make my sister safer from a domestic shooting. 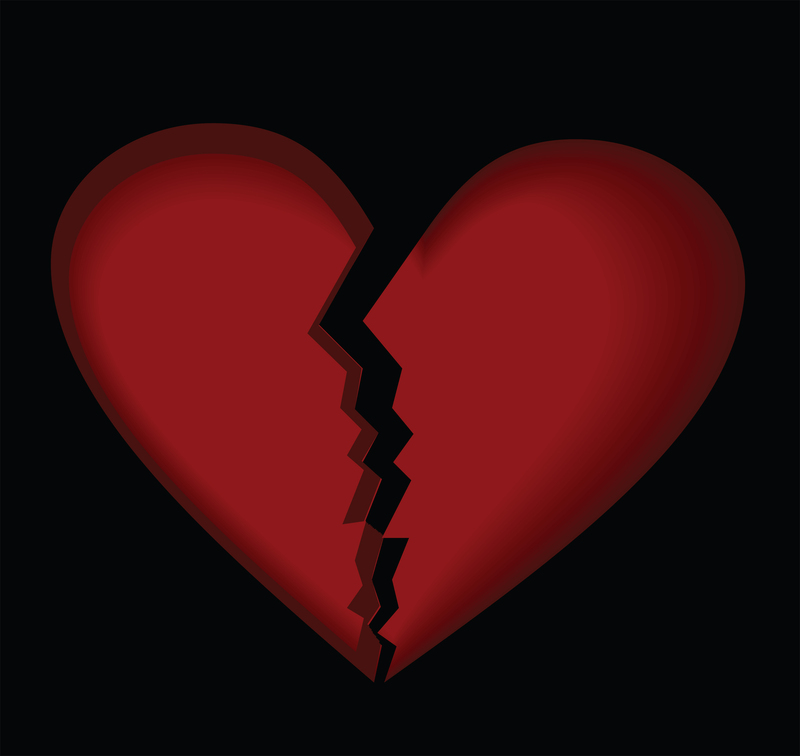 My sister never got to see her oldest son get married or to hold her grandchildren. She wasn’t in attendance at the weddings of my own children but was remembered lovingly at these occasions. I do what I do because of her and because of the many women who have lost their lives to a bullet. The thing is, my sister is your sister. Just because this hasn’t happened in your family doesn’t mean it won’t. That is why it is so important to be involved in the movement to change the conversation about guns and the role they play in so much devastation to families all over America. Gun deaths and injuries happen in every neighborhood, to any age group, to any economic category, to any gender, to any and all races and usually in unexpected ways. Every one of us can be affected. So what do we mothers who continue to march want? We want people to know that if they choose to own guns, they should also choose to understand that those guns are a risk to themselves and others in the home. We want mothers ( and others) to practice responsible gun ownership. Guns should be locked securely unloaded and separate from ammunition. We want mothers ( and fathers) to ASK if there are guns in the homes where their children play and hang out. We want mothers ( and others) to continue to advocate for background checks for all gun sales. In states where that has happened, women (and others) are safer from shootings. We want domestic abusers to have fewer guns, not more guns. Some states , including my own state of Minnesota, have passed laws to make sure the guns of domestic abusers are required to be removed from them before they are used to kill a domestic partner. We want mothers and women to run for political office and raise the issue of gun safety reform and then get the job done to make our communities safer. We want mothers ( and others) to get involved and stay involved to change the conversation about the role of guns and gun violence. We can make safer communities for our families if we continue to march and continue to advocate for common sense. We want mothers ( and others) to be loud and clear with elected leaders that the majority of Americans want stronger gun laws, not looser laws. Happy Mother’s Day. Keep marching.